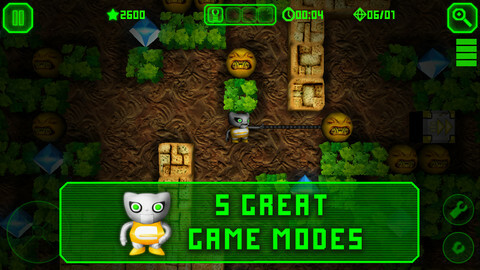 Boulder Dash XL is an iPhone game developed by HeroCraft. 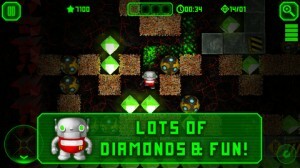 Featuring 100 levels and 5 game modes, this retro-influenced title is an update of the 80’s version of the game that was once available on the home Atari system. 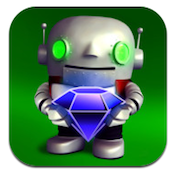 Purists, don’t fear: the beloved mining robot “Rockford” from the original game is alive and well in Boulder Dash XL, along with another robot named Crystal. Before playing the game myself, I took a look at what other players were saying about the game. 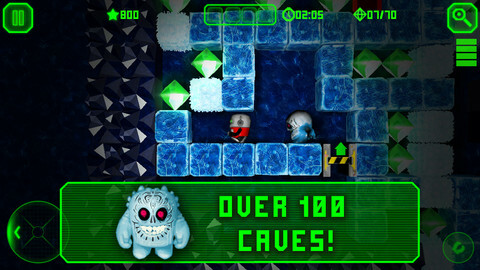 Many of the user reviews on the iTunes page for Boulder Dash XL were negative, citing control issues related to sensitivity. I personally didn’t really experience this: for my money the control here are just as tricky as most other retro-style games. Using them takes skill and a bit of practice, to be sure, but I feel that just adds to the fun of mastering the game. Maybe it’s a generational thing: kids who grew up in the 80s and even the early 90s just might enjoy the arcade-like experience of tricky controls. Speaking of controls, Boulder Dash XL features something I almost NEVER see on mobile games: support for left-hand players! If you’re a lefty gamer, you should check out Boulder Dash on principle. 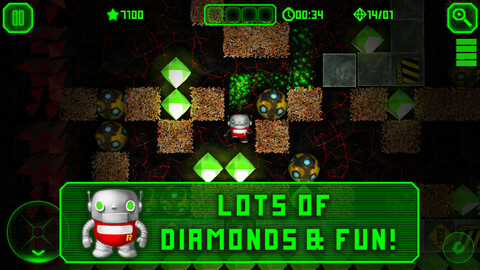 Bottom line: Boulder Dash XL offers a diverse array of gameplay modes, making it fun for nostalgic players and newbies alike. There’s a reason people keep remaking or cloning this title nearly 30 years after it originally appeared: it’s a darn fun concept. 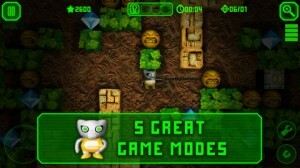 Boulder Dash XLis compatible with iPhone, iPod touch, and iPad. Requires iOS 3.0 or later This app is optimized for iPhone 5.